I haven’t been very active on my blog lately. The period leading up to Christmas has kept me fairly busy, and when I’ve had spare moments to write, I’ve been (happily) working on some short fiction. But there’s also another reason: I’m finding it hard to concentrate on anything else aside from Star Wars. With only two more sleeps until I get to see The Force Awakens, Disney’s intense marketing campaign over the last few months has finally driven me into a salivating frenzy. 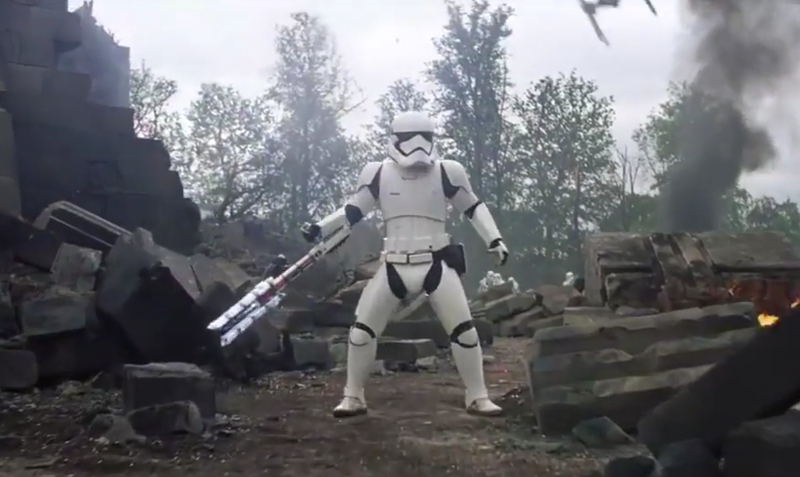 First it was Force Friday, then it was the slew of new trailers and new photos. I’ve been opening my Star Wars Lego Advent Calendar every morning (much to the chagrin of my Instagram followers, I’m sure), and I’ve been playing Battlefront on my PS4 so much that my fingers have been cramping. The last few months have felt like a flashback to my childhood and the giddy excitement that only Star Wars can incite. It all comes to a climax on Thursday morning at 12.01am, when I finally get to sit down and watch the first new Star Wars film in a decade. So I thought I’d take the opportunity in the final few days before The Force Awakens to record my hopes and worries for the film, with the aim of being able to look back on this article next week and say “you didn’t know what you were talking about, Andrew!” Hopefully that will mean that The Force Awakens exceeds my expectations. It’s shots like this that make me confident that the film will recapture the magic of the original. Most people would point to director J.J. Abrams’s work on the last two Star Trek films as evidence for his ability to embrace and continue a franchise (for better or worse). However, it’s his 2011 film Super 8 that inspires me with more confidence. He set out to capture the aesthetic and feel of a 1980’s Spielberg film, and succeeded in creating something that looks almost identical to parts of E.T. or Close Encounters of the Third Kind. His ability to replicate a pre-existing aesthetic bodes well for Star Wars. One of the problems of the prequel trilogy is that it abandons the grimy war-torn aesthetic of the original trilogy and presents a Republic that is all gleaming chrome surfaces and shiny starships. Yes, there was a consistent reason why Lucas chose to do this – he was depicting the Republic during their glory years – but it didn’t feel like Star Wars. Abrams has often spoken about his approach to The Force Awakens – a return to practical effects, a focus on the experience of seeing a Star Wars film. And this inspires me with confidence. It’s a director who respects the franchise. One of the reasons why The Empire Strikes Back is widely considered the best film in the franchise is due to its amazing script, which brought added complexity to the movie’s beloved characters. Lawrence Kasdan, who co-wrote The Empire Strikes Back and Return of the Jedi, has also co-written The Force Awakens with Abrams. The script went through a number of changes before it was finished, with Lucas drafting an outline before Abrams joined the project, and original scriptwriter Michael Arndt leaving in its early stages. But Kasdan’s presence is a good sign – he understands the franchise; he knows how to put emotion into dialogue. Hopefully the result will be better than the uncomfortable dialogue that plagued the prequels. On a brief note, I also believe that The Empire Strikes Back‘s script was so nuanced because of Kasdan’s co-writer, Leigh Brackett, who is an amazing science fiction writer and deserves far more credit than she’s received. Her novel The Long Tomorrow (1955) is one of the most sophisticated examinations of nuclear war. 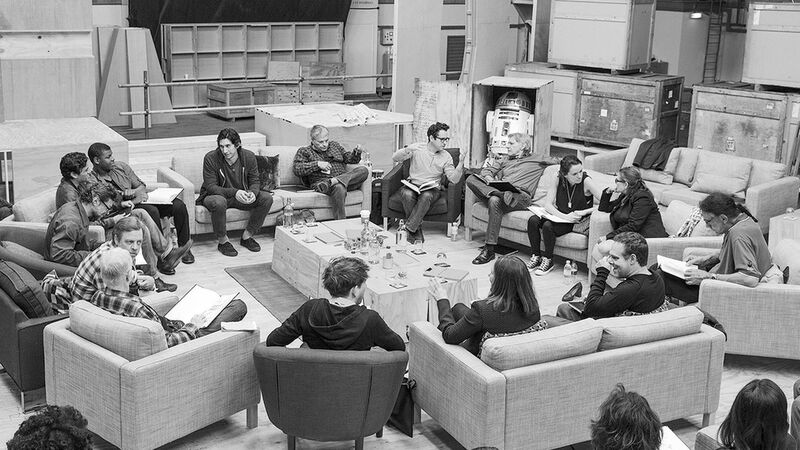 The casting announcement of the film was accompanied by this photo, featuring the old generation and the new generation sitting side by side. Yes, I want to see Han Solo piloting the Millennium Falcon. I want to see R2-D2 and Luke Skywalker and Imperial Stormtroopers. I want to see X-Wings and TIE fighters and lightsaber fights. But I don’t want to see them solely for the sake of nostalgia, as if the film is just ticking off a list of essential elements that will make the film work. I want to see them because they are essential to the plot. I want a film that recognises the weight of the franchise, but is looking forward to the future, not mired in the past. What’s happening here? Are they surrendering or doing the Macarena? Coupled with this concern about nostalgia is the fear that The Force Awakens will be a soft reboot of the Star Wars franchise. A soft reboot is when the continuity of a franchise is preserved, but the style/tone/storyline is taken in a completely different direction, usually to revitalise the series for a new generation (and Jurassic World and Terminator Genisys are prime examples). However, it doesn’t always work. A problematic example is Abrams’s Star Trek, which uses the time travel plot device to allow him to reset the chronology and re-tell the stories from the original USS Enterprise. A great idea to introduce new fans to the franchise, but it all fell apart in Into Darkness, when Abrams tried to reimagine Star Trek‘s most iconic villain. The film relied too much on the audience knowing Khan’s background, without showing him being a real threat in the actual film. When he revealed his true identity, the sense of threat was more due to our prior knowledge of his character, rather than any of his actions in Into Darkness. The revelation had no weight. 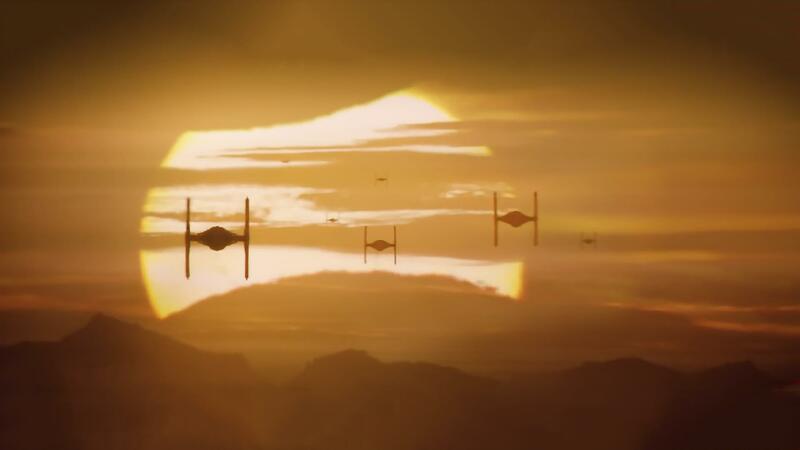 From the trailers of The Force Awakens, I worry that Abrams is essentially remaking A New Hope. We’ve got outcast characters on a desert planet, a group of resistance fighters, some sort of superweapon, and a masked bad guy. I sincerely hope that part of Abrams’s goal of replicating the experience of Star Wars is not replicating the plot of the original. Fingers crossed – I think he’s better than this. J.J. Abrams has already demonstrated in his Star Trek films that he’s not afraid to sacrifice the established “rules” of the franchise in favour of a good story. In previous Star Trek series and films, transporters were only capable of moving people a very short distance, usually between a ship and a planet, but in both Star Trek and Star Trek Into Darkness, transporter technology is used to move characters considerably further – onto a ship moving at warp speed, and between distant planets. It benefits the story, sure, but it flies in the face of what’s been established. (If transporters are so effective, why do they even need starships?) And the transporter problems are just the tip of the iceberg for my issues with Into Darkness. So I’m concerned that the same thing could happen with Star Wars. We’ve had six films to establish the rules of the Galaxy Far, Far Away, and the fans’ expectations of how they work is part of their love for the franchise. Having said that, George Lucas already broke a lot of his own rules when he made the prequels. It was established in the original trilogy that journeys through hyperspace can often be quite long, which is why the Empire doesn’t have a strong presence in the Outer Rim territories and the Rebellion was able to gather support out there. But in the prequel trilogy, especially Revenge of the Sith, hyperspace travel times take a backseat to the plot. 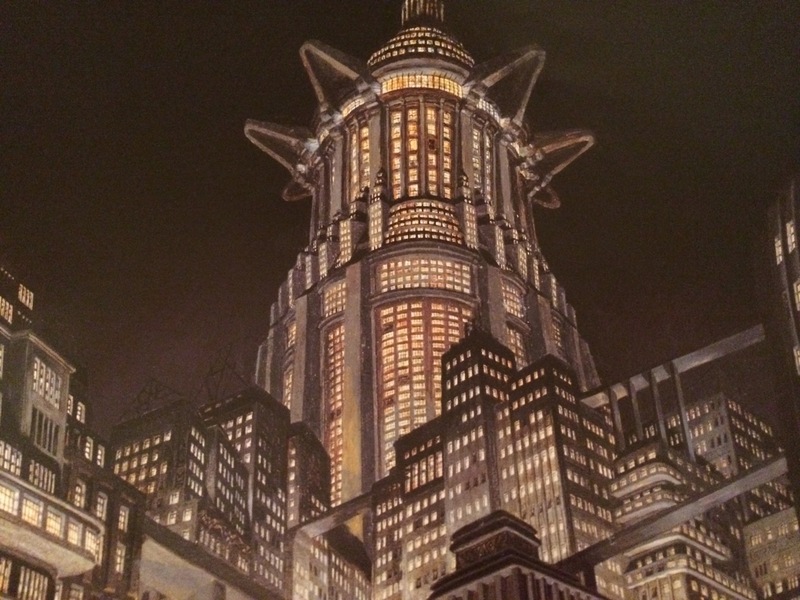 Obi-Wan and Amidala, and later Palpatine, seem to travel from Coruscant to Mustafa (an Outer Rim world) suspiciously quickly. I’ve heard a few fan arguments that defend this point, but not a single one stacks up against the evidence. So if Lucas was able to break his rules in the prequels, why not the new films? What elements of the franchise can be bent or broken before it damages the continuity? Very much looking forward to this scene. All of my hopes and worries will be wonderfully, hopelessly obsolete by Thursday morning. No matter whether the film exceeds my expectations, meets them, or dashes them, it’s been an incredible experience these past couple of months, revisiting that sense of promise and excitement that only Star Wars can create. Let’s hope it’s a movie worthy of the title of Star Wars.